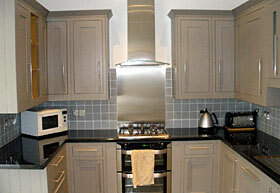 The kitchen has long been the 'heart of the home' for many people. It is not just about functionality and practicality, it should also be comfortable and inviting. 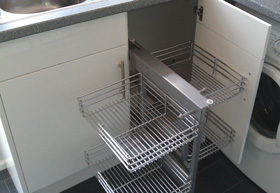 No matter what size your kitchen is, or what problems you face, The Handymen Sussex are here to help. Our kitchen fitters can help you completely redesign your kitchen, plumb in a new appliance, replace your old worktops, rewire your old ring mains, install new lighting, or simply fix that leaking tap. 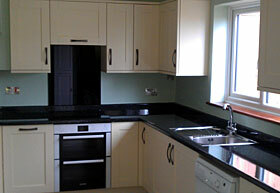 Whatever you need, our kitchen installation team is only a click or phone call away and we are always happy to help. Ask us for a FREE no-obligation quote TODAY! Whether you are looking to install a brand new kitchen, fit a new cooker, dish washer or washing machine, or just fix a leaking tap, we are here to help. Our team of skilled tradesmen will ensure you receive the service that you need, when you need it, and at an affordable price. No job is too big or too small, and your satisfaction is guaranteed. Registered in England. No: 10018628. Address: 78 Muirfield Road, Worthing, West Sussex, United Kingdom, BN13 2NB.